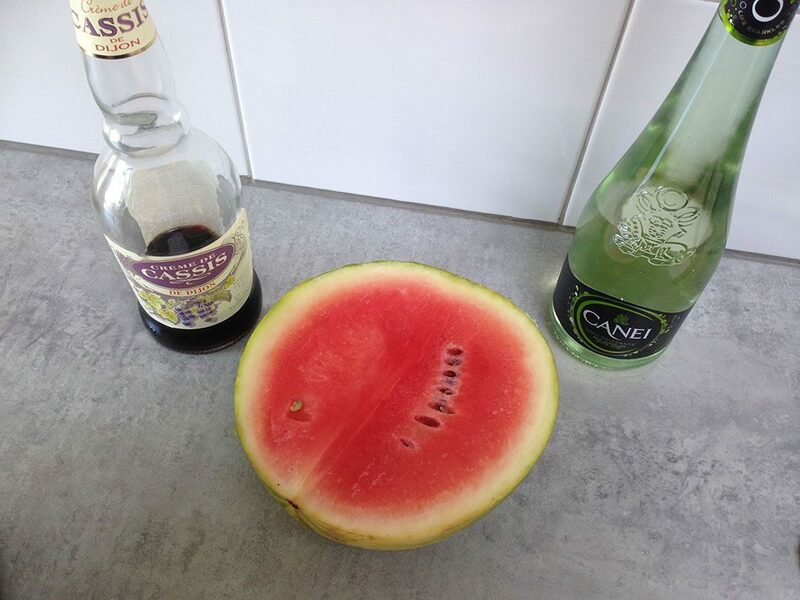 SLICE 4 beautiful pieces of watermelon for garnishing the cocktail. 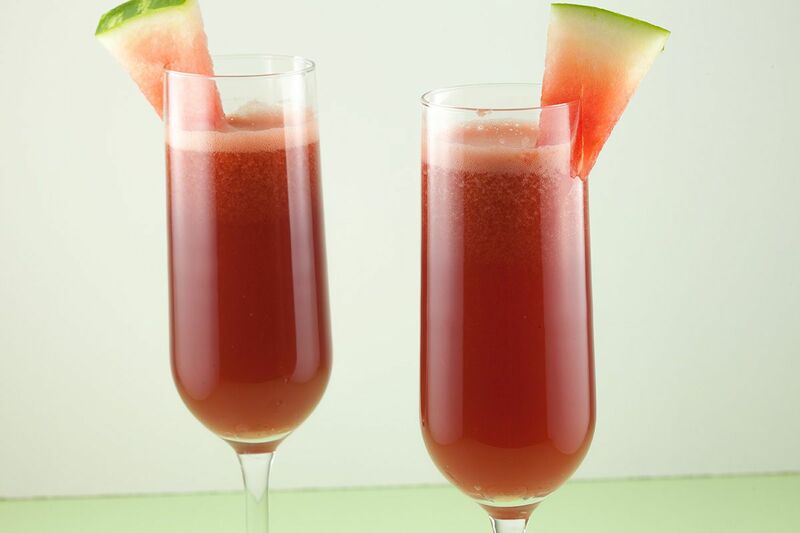 Then REMOVE the peel from the rest of the watermelon and ADD the pulp to the blender. SIEVE the pulp to get rid of any seeds. 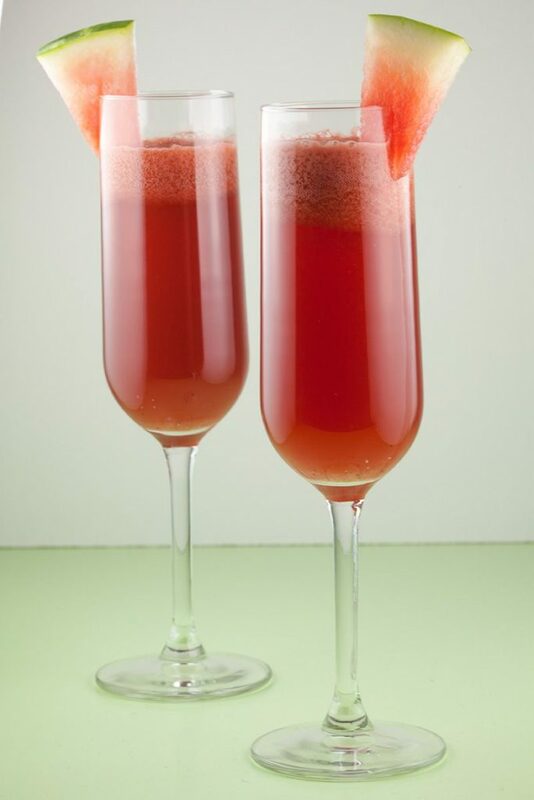 POUR a small layer of crème de cassis to each champagne flute and FILL the glasses for about half with the watermelon juice. 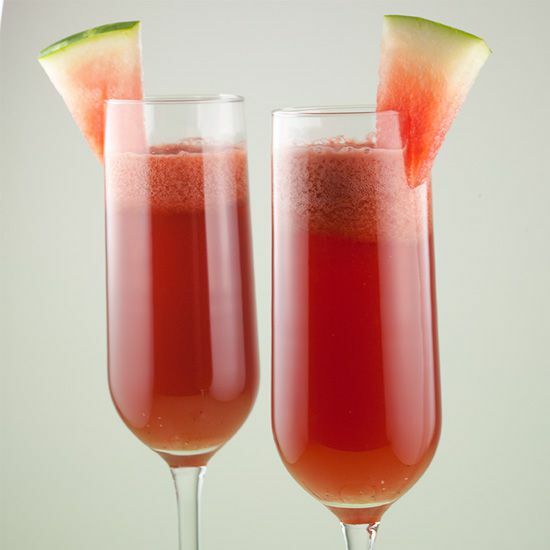 FILL the rest of the glasses with sparkling wine and GARNISH with a piece of watermelon. Enjoy!